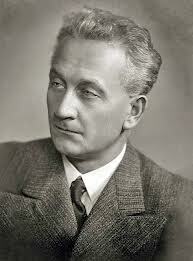 Albert Szent-Gyorgyi won the Nobel Prize for Medicine in 1937. He was credited with discovering the chemical ascorbic acid also known as vitamin C. Since the late 1700’s, it was known that fresh fruits and vegetables could ward off scurvy, but no one really knew why. Albert Szent-Gyorgyi figured it out. He had a knack for seeing things others saw, but drawing new conclusions. I admit that I spend most of my days with my eyes open, but seeing only dimly. The expression for this is “house-blind.” It is when we become so accustomed to seeing things as they are … we no longer even see them. Just think of the screwdriver that has been sitting on your kitchen counter for so long you no longer notice it. It doesn’t just happen at home. It happens just as frequently at work. How can we come to truly see what’s there … AND also think about it differently? Talk to those NEW to the organization. Most visitors and new employees notice all sorts of things that others miss or take for granted. Use your smartphone camera. The old expression of a picture is worth a thousand words is still true. We notice things in photos that we miss on our own. Just try this by standing in the door to your work area and taking a photo. This is what everyone else sees. Listen more. The next time colleagues begin to debate an issue, just listen. What’s another way to frame the issue or explain the problem? How would someone not in your industry see this? Ask what is missing. The truth can often be found in the white spaces … where information is missing. I remember trying to put on finger on what was “off” when visiting a client’s office a few years ago. It came to me later. Not a single personal item could be seen anywhere; no family photos, personal mementoes, etc. Even with his money, Szent-Gyorgyi thought differently. If this is the key to discovery, how can we see the world more clearly and then reflect on it in some new way? I’ll start with that screwdriver.